It doesn't matter if you're feeling under the weather or getting ready for a weekend in the sun, McCarthy's Pharmacy has what you need at a great price. 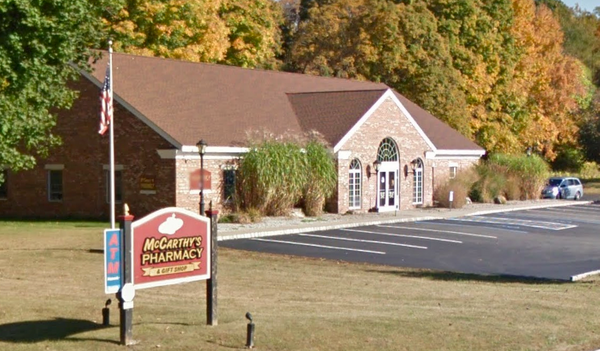 A locally owned and operated drug store in Dutchess County since 1989, we have all the items carried by national chains, but with superior customer service. Without a national advertising budget, our business depends on giving you a great experience every time. That's why more of your neighbors choose to see us for many of their needs. If a birthday, anniversary, or some other special event is coming up, peruse our selection of fine gifts while you pick up the things you needed anyway. For a friendly smile and fair prices, there's only one place you should go: McCarthy's Pharmacy. Call 845-868-1010 to place a prescription order, then come pick it up at 6032 Route 82 in Stanfordville. Give us a chance. We will show you the difference.